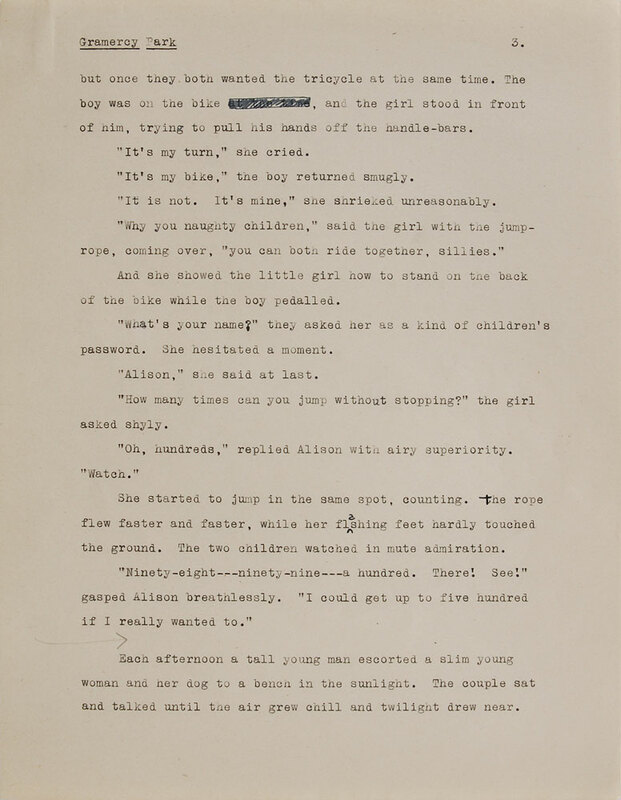 A six-page typescript story, "Gramercy Park" (1948), with holograph corrections in Sylvia Plath's hand is up for auction via RR Auctions. "Gramercy Park" originally sold in the 1982 Sotheby's auction, then reappeared in their failed December 2014 auction. It did sell last June via Bonhams as part of a two-story lot along with 1949's "The Green Rock". 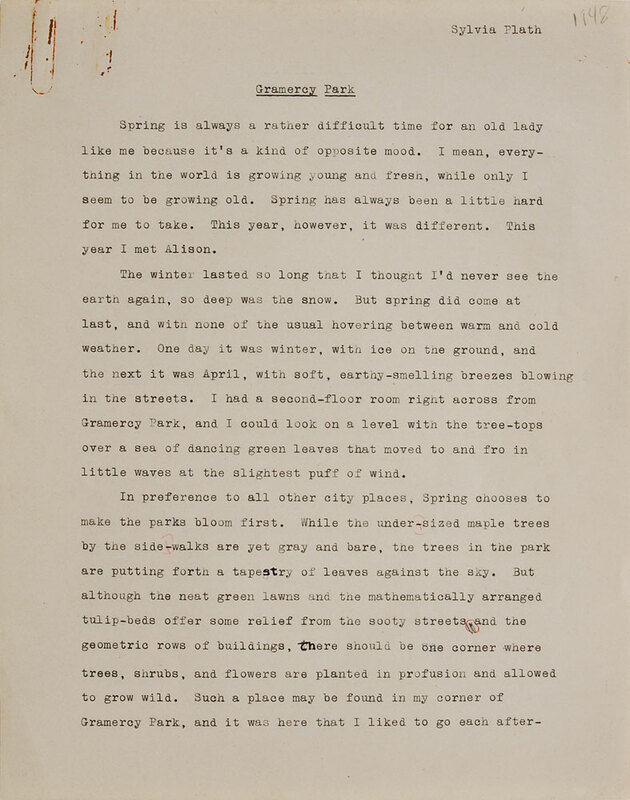 Indiana University at Bloomington holds, in Plath mss II, two typescript copies of "Gramercy Park". 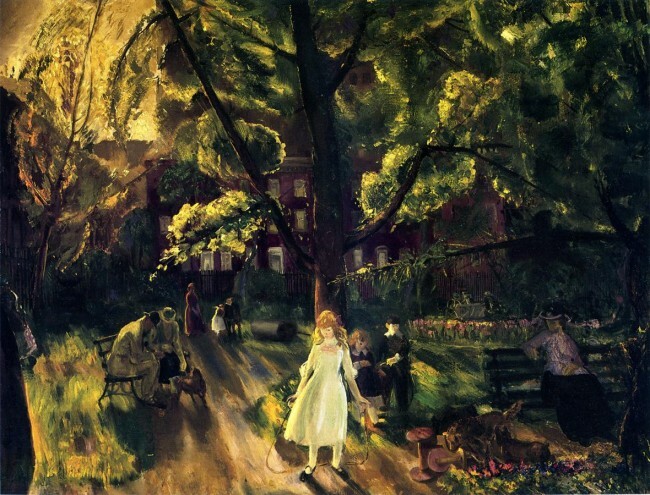 One of them has, on the back of a cover page, a small reproduction of George Wesley Bellow's 1920 painting Gramercy Park, pictured below. The copy at auction appears to be the draft Plath edited to reach the final version as the edits are reflected in one of the copies at Lilly. It also features some comments in another hand, likely one of her teachers at the Bradford High School. My thanks to Jett W. Whitehead of Jett W Whitehead Rare Books, THE specialist in poetry in the rare books and collectibles world, for letting us know about this auction. With a web address of www.poetryjett.com, how could you, as a reader of Sylvia Plath, not like this guy! All links accessed 24 January 2016. 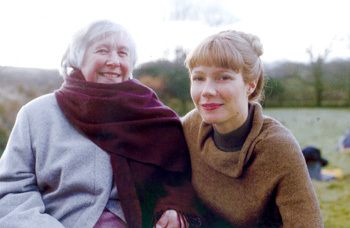 As a result of Alison Flood's article "Sylvia Plath's Three Women to be staged in London" in The Guardian, I met Elizabeth Sigmund, who passed away peacefully at her home in Cornwall on Friday, 6 January 2017. Shortly after the article ran my mobile phone rang with an English phone number showing up on the caller-ID. It was Elizabeth, calling to discuss my quotes in the piece and to discuss Plath. We became fast friends. Elizabeth was like that -- instantly likable. We spoke on the phone periodically after that -- it was always a fulfilling thrill to speak to her: especially in July when I'd call her on her birthday and sing to her, and the next day she'd call me on mine and sing back to me. She possessed a beautiful and inviting speaking voice, a vibrant and contagious laugh, and had the amazing ability to make any day we spoke both brighter and happier. In March 2013, when Gail Crowther and I gave a preview talk for our paper "These Ghostly Archives 5: Reanimating the Past" at Plymouth University in England, we made a side trip to meet Elizabeth and her husband William at their home. Without Gail's navigation, I am confident I never would have found the house, nestled deep in the country. That day was miserably cloudy and rainy, but we were greeted warmly inside with excellent conversation and tea. To say the occasional was a memorable highlight of my years spent studying and discussing Sylvia Plath is an understatement. There will be better obituaries and tributes to Elizabeth Sigmund than this post will provide by people that knew her much better. 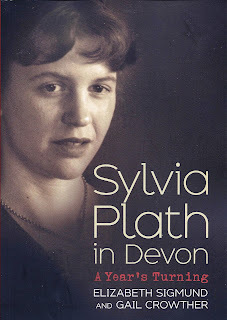 It was a privilege to introduce my best friend, Gail Crowther, to Elizabeth, and to work with them on various projects such as their essay "A Poem, A Friend" and their resultant book, Sylvia Plath in Devon: A Year's Turning. I was chuffed to be asked to write the introduction to it. As I say in that, "Sylvia Plath is a connective figure." Elizabeth and Sylvia Plath met in Devon in 1962 almost by chance after Plath and Ted Hughes's 1961 BBC radio interview "Two of a Kind: Poets in Partnership". As a result of that meeting, the two young women became immediate friends. 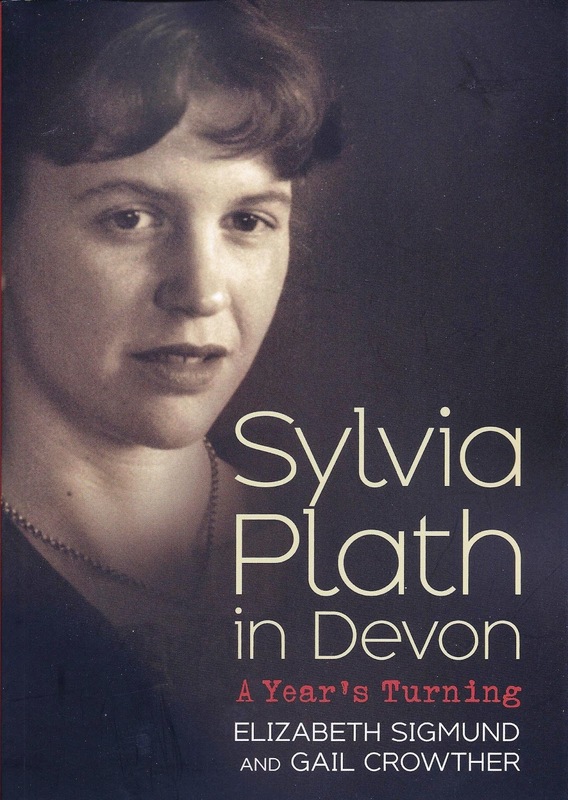 Friends, indeed, with a bond so strong that within months Plath was to dedicate her novel, The Bell Jar, to Elizabeth and her then husband David Compton. Elizabeth was a vital woman who was unafraid to support and defend Plath after her death. I feel like Elizabeth's passing is a monumental loss both to a connection to Plath and to Plath's memory. In addition to various letters to the editor, an essay entitled "Sylvia, 1962: A Memoir" (New Review, May 1976 and Sylvia Plath: The Woman and the Work, ed. 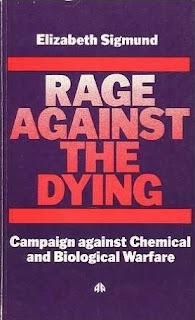 Edward Butscher), and Sylvia Plath in Devon, Elizabeth was the author of the book Rage Against the Dying: Campaign Against Chemical and Biological Warfare (London: Pluto Press, 1980). Later, Elizabeth was the subject of an impressive article in The Independent in 1995. It gives a wonderful glimpse at how formidable she was, and how interesting, too. Our thoughts and prayers go to her husband, William, and to her children and grandchildren. The celebration of Elizabeth's life and funeral ceremony were held on 17 January in Buckfastleigh, South Devon. Gail Crowther attended and read "When Great Trees Fall" by Maya Angelou. Elizabeth was much loved and will be greatly missed. All links accessed 6 January 2017. It has been quite some time since a "Sylvia Plath: Did you know…" appeared on this blog so I thought I should remedy this unintended gap. Sylvia Plath's novel The Bell Jar (1963) is a fun book to read for its hidden messages and allusions. Plath carefully and consciously manipulated time and people to construct a work based off of many experiences in her own life, but undoubtedly also added fictional color. Elaine sat on the breezeway in an old yellow nightgown of her mother's waiting for something to happen. It was a sweltering morning in July, and drops of sweat crawled down her back one by one, like slow insects. Did you know... Plath certainly had read this before; and chances are many of you have as well! For the longest time I had looked for this in something Plath wrote, thinking: she must be referring to something she herself wrote. Well, she was! Plath wrote in her January 1955 short story "Tongues of Stone" the following: "Mrs Sneider was the only other one in the sunroom where the girl sat on the sofa with tears crawling like slow insects down her cheeks…" (JPBD 267). Of course, Plath changes the "tears" in the story to "sweat" in the novel, but this is what Sylvia Plath's writing shows us: that through sweat, tears, and through blood, a marvelous, interconnected body of work is created. In my background work for the forthcoming The Letters of Sylvia Plath, I spent a lot of time browsing and reading 1940s and early 1950s issues of Mademoiselle. 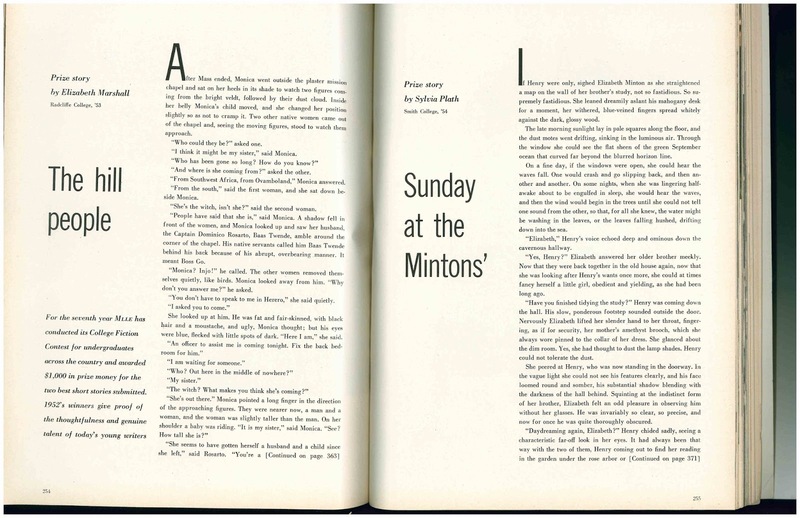 Imagine how taken aback I was to read a story called "The Hill People" by Elizabeth Marshall (Radcliffe, 1953) published in Mademoiselle August 1952 ... right next to... "Sunday at the Mintons'" by a certain Sylvia Plath! Marshall's story appeared on pages 254, 363-371; Plath's on 255, 371-378. Are there any instances like these in The Bell Jar that you wonder about? 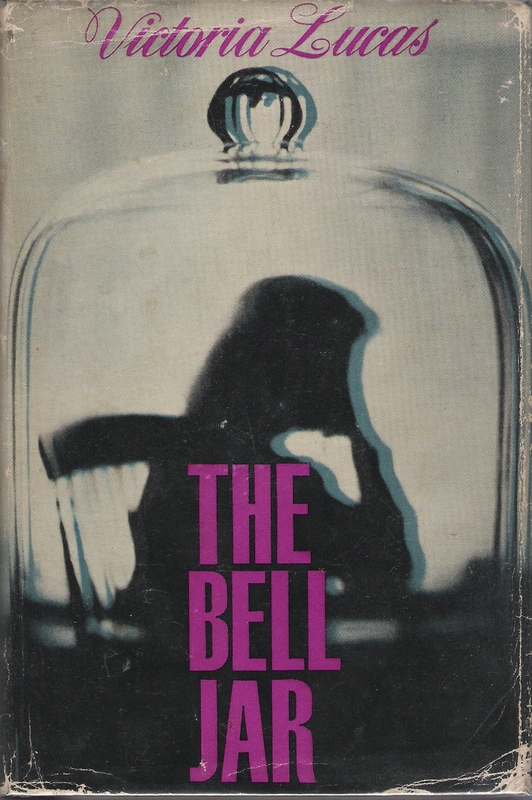 Another aspect of The Bell Jar that has always struck me is how uneven the novel is. And what I mean by that is its structure. The first thirteen chapters deal with Esther Greenwood's history, if you will: the reasons, people, and experiences that lead her to the brink of self-destruction in her suicide attempt. And yet there are just seven chapters dealing with the aftermath of this. The writing in Chapters 14 through 20 is fragmented, representing the chaos and confusion of waking up alive and being shuttled to several different hospitals. It feels as though there are more short paragraphs… vignettes... which parallels the process the re-construction she underwent while recovering in the three hospitals ("patched, retreaded and approved for the road" (257)). Things get a little more… stable or prosy, if you will, when Esther reaches Caplan/Belsize. Plath first explored the experience of recovery in her short story "Tongues of Stone" mentioned above. "Tongues of Stone" was completed by 28 January 1955, according to her pocket calendar held by the Lilly Library at Indiana University. 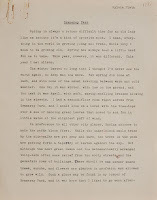 In the calendar Plath noted that she "rewrote" the story providing it "with new ending" and indicating that she was sending it to a short story contest at Mademoiselle. This came twenty days after her poem "Morning in the Hospital Solarium" (8 January 1955) and eighteen months before she wrote "Miss Drake Proceeds to Supper" between 23 and 26 June 1956, a week after she married Ted Hughes. In Plath's Collected Poems Hughes writes "(She was writing "Miss Drake Proceeds to Supper" on a parapet over the Seine on 21 June 1956.)". However, this would have been difficult considering the newlyweds were still in England on that date according to her passport. The first poem is less definitely about her hospitalization but perhaps some of the imagery is from her time at McLean. "Miss Drake Proceeds to Supper" is more directly about her experiences there, though in the novel Miss Drake's named was changed to Miss Norris. Because The Bell Jar is so "short" on the back side and because so much is "missing" in terms of details about her recovery, "Tongues of Stone" can be instructive in filling in the gaps of time and memory. In his wonderful Sylvia Plath's Fiction: A Critical Study (2010), Luke Ferretter writes that Plath "first wrote ["Tongues of Stone"] in autumn 1954 for Alfred Kazin" (60). Plath had been invited after the Fall term started to join Kazin's first semester only course (English 347a Short Story Writing) after meeting and interviewing the professor as an assignment for an article she wrote "The Neilson Professor". 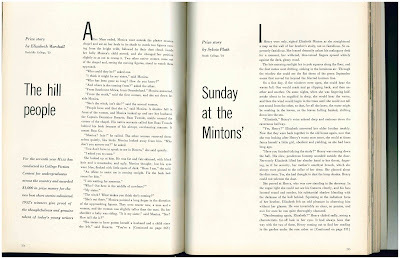 The piece was published in the Smith Alumnae Quarterly, Fall 1954. Set in October, "Tongues of Stone" starts with a girl sitting on a sofa in a sunroom knitting. The main character has lost track of time, a result of insomnia. This is a new detail; a continuation if you will, from how it went down in The Bell Jar. Both the patient in the story and Esther in the novel experience crippling insomnia during the summer before the breakdown. However, in the novel it is related that during recovery Esther had been sleeping in hospital. 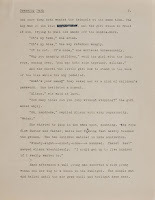 The nameless girl in the story has given up hope, and in language lifted almost verbatim for The Bell Jar, the speaker thinks, "After a while the would get tired of waiting and hoping and telling her that there was a God or that some day she would look back on this as if it were a bad dream" (JPBD 268). We are provided in the short story with actions of the patient that are absent from the novel. Going out with a book to sit in the sun and storing apples picked from the orchard under a pillow so that she could eat them in the bathroom, to name two. This is not to say that these are things Plath did; however, they just may be based off her own experiences or those around her. The details, too, of the girls insulin treatment add to the scenes in The Bell Jar, too. Such as the giving of orange juice to "terminate the treatment" being consumed right before dinner (JPBD 270). The Debby character in the story is probably Joan Gilling from the novel. Late in the story, the patient recalls some details from immediately after "her second birth" (JPBD 272). This again complements scenes from the novel such as the nurse suggesting Esther will meet and marry "a nice blind man" someday (JPBD 272; The Bell Jar 181). Additionally, there are other details such as the patient still feeling quite suicidal well into her confinement at the hospital. She tries to hang herself with a scarf and contemplates harming herself with shards of broken glass as Ferretter mentions above. In all, "Tongues of Stone" and "Miss Drake Proceeds to Supper" are highly corresponding pieces to writing in The Bell Jar. The earlier work show Plath trying to process her recent experiences. Absent from these are a fuller narrative and plot such as the back stories including boys, college, the guest editorship, etc: the "reasons" that offer some explanation for Esther Greenwood's breakdown and suicide attempt. As her chapter outline for The Bell Jar shows, Plath was able, with time, to fully incorporate and realize (and perhaps purge) the momentous, formative events that she experienced in the early 1950s. All links accessed 23 February 2015, 10 June 2016, and 5 January 2017. Happy Sylvia Plath Info Blog New Year! In the autumn of 2016, I spent a lot of time during my lunch hour at work going to the Boston Public Library to re-examine all the microfilmed newspapers that they hold re-searching for articles on Sylvia Plath's first suicide attempt. I did this because at the same time I was transcribing all the articles, for you, I felt it was important to re-check everything. Also, I made new scans of some of the articles that originally were of lesser quality because of the great advances made in microfilm readers since circa 2005-2012. In the end, I found a number of articles that I missed in my previous researches. It is important to admit that I missed them. Some of the articles were from other editions of a particular newspaper issue and I can only think that when I first started looking for these articles in the first place that I did not place as much bibliographic emphasis/attention on these. And some of them I found because they were not at first about Plath, but mention her disappearance and discovery. Such as all the articles on fellow Wellesley resident Penelope Protze, who lived quite close to Plath at 41 Martin Road. The total articles at the present time stands at 214, which is simply astounding to me considering that when I started the project, I knew of about seven to ten as were recorded in Stephen Tabor's Sylvia Plath: An Analytical Bibliography! And you can see the progress that has been made since I published my first bibliography of articles in my essay "'They Had to Call and Call': The Search for Sylvia Plath." I have asked this a number of times and yet no one has seemed to taken up the challenge: If you live or have access to town or university libraries that have microfilm from 1953. Please do consider a visit to see if any newspaper not listed in the bibliography linked below to search for articles on Plath's first suicide attempt. You need only check from 25 to 28 August. Thank you if you do. The point of this blog post is not to necessary point out how terrible of a researcher I was and/or am, but to let you know that the transcriptions of all the articles are now on my website for Sylvia Plath, A celebration, this is. Please visit the Bibliography of Newspaper Articles on Sylvia Plath's First Suicide Attempt in August 1953. In the transcriptions, I tried to be exact so if there was a misspelling in the article, it appears in the document. Also, if word was broken up by a line break, I have placed in square brackets the complete spelling of that word after it. I loaded them in early December, so visitors to this page may have already taken advantage of them. But, also, Google appears to have cached, full-text, most if not all of the articles so I hope this drives interest in Plath and traffic to my site! I hope truly that you find all of this work useful. If any of you do take the time to search for articles on Sylvia Plath's first suicide attempt in your own town/college library, please know how grateful I will be. All links accessed 16 November 2016 and 31 December 2016.